The Oscars of the egaming sector, is attended by more than 800 industry professionals and rewards B2C operators for setting the standard in categories ranging from customer service to social responsibility, and awards across all verticals. The EGR Operator Awards 2018 voting process will be officiated by accountancy giant Deloitte. This marks the first time the Awards have been adjudicated by a third-party and is part of EGR’s pledge to make the judging process the most stringent and transparent in the industry. 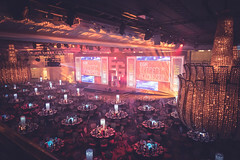 The Oscars of the egaming sector, EGR Operator Awards is attended by more than 800 industry professionals and rewards B2C operators for setting the standard in categories ranging from customer service to social responsibility, and awards across all verticals. EGR Global is pleased to announce that the EGR Operator Awards 2018 voting process will be officiated by accountancy giant Deloitte. This marks the first time the Awards have been adjudicated by a third-party and is part of EGR’s pledge to make the judging process the most stringent and transparent in the industry. Please note that the judging period is from 18 June 2017 to 18 June 2018. The judges will reward the bingo affiliate that has provided significant traffic, player numbers and genuine ROI for operators. An ability to build strong partner relationships as well as innovation in terms of brand, marketing and player retention strategies will be key criteria for deciding a winner. This is not an award for the biggest affiliate site, but scale will be a factor in determining the winner. Entrants will need to provide evidence of scale of traffic and strong partnerships with operators as well as putting forward a clear case for differentiation and stand-out within their sector. The judges will reward the sports betting affiliate that has provided significant traffic, player numbers and genuine ROI for operators. An ability to build strong partner relationships as well as innovation in terms of brand, marketing and player retention strategies will be key criteria for deciding a winner. This is not an award for the biggest affiliate site, but scale will be a factor in determining the winner. Entrants will need to provide evidence of scale of traffic and strong partnerships with operators as well as putting forward a clear case for differentiation and stand-out within their sector. The judges will reward the casino affiliate that has provided significant traffic, player numbers and genuine ROI for operators. An ability to build strong partner relationships as well as innovation in terms of brand, marketing and player retention strategies will be key criteria for deciding a winner. This is not an award for the biggest affiliate site, but scale will be a factor in determining the winner. Entrants will need to provide evidence of scale of traffic and strong partnerships with operators as well as putting forward a clear case for differentiation and stand-out within their sector. The Game of the Year category will recognise the game studio or operator that has produced the stand-alone game that has made the biggest impact during 2018. To vote for the Game of the year category at the 2018 EGR Operator Awards, you must have been shortlisted for one of the Operator Awards. Please ensure that you have carefully read the information on each game and the entry criteria which can be found on the website. This award will recognise the operator that can demonstrate its commitment to organisational performance improvement through investment in the recruitment, personal and skills development and motivation of every individual employee. Special consideration will be given to the operator that can show evidence of a clear plan towards integrating a strong company culture right across the business. This award is for the bingo operator that has created a stand-out proposition in a competitive market through a combination of product, marketing and/or significant revenue growth. The winner will be a site operating strong product(s) with a significant customer base, an effective marketing strategy, and a lively online community. Operators demonstrating innovation and that are pushing the sector forward will be given special consideration. Additional recognition will be given to operators with a strong regulated market business. The winner of this award will be the casino operator that has been able to dominate the sector through their global reach and quality of their product. Entrants will be judged on the originality of their product, the strength of the brand and product, and innovations helping set their offering apart from its competitors. Additional recognition will be given to operators with a strong regulated market business. This award recognises the operator that has set the standards for others to follow over the past year. The judges will be looking for a company that has acted as a driving force for innovation across all areas of the business and the winning operator will need to demonstrate a market-leading proposition. It is not a reward for the largest operator, but rather operational excellence in the markets where the company has a presence. Judges will be looking for a company that has clearly differentiated itself from the chasing pack in its sector, through a mixture of growth, innovation and strong product performance in one or more of the key verticals. Additional recognition will be given to operators with a strong regulated market business. The poker operator of the year award will be given to the operator that has operated the most successful real-money poker offering over the past year. Judges will award the prize for originality, growth and marketing strategy, with special consideration given to innovation. Special consideration will be given to those operators who have shown growth in the current market and to operators that have been able to differentiate in a crowded sector. Additional recognition will be given to operators with a strong regulated market business. The Rising Star award rewards a company of up to three years in existence that, despite being new to the sector, is rapidly growing and establishing itself as a force to be reckoned with. Innovation will be a major factor in the judging process, however operational excellence and early signs of commercial success will also be taken into account. In the competitive sports betting field, the operator that has been able to differentiate itself from its key rivals through an excellent product offering, an effective marketing strategy and impressive global reach will be awarded this prize. Judges are looking for an operator that has enjoyed consistent growth over the past year and demonstrated operational excellence in the markets they operate within. Additional recognition will be given to operators with a strong regulated market business. This award is for operators offering a B2C real-money betting product in the burgeoning eSports sector. The award will go to the operator that can demonstrate how it has found success in the field of eSports betting during the 12-mont period, with judges taking into consideration product differentiation, presentation and ability to attract a new demographic into the egaming sector. This award will go to the exchange betting operator that has been able to differentiate itself from its key rivals through an excellent product offering and an effective marketing strategy. Judges are looking for an operator that has enjoyed consistent growth over the past year and demonstrated operational excellence in the markets they operate within. This award recognises the operator that has made the biggest impact within the fantasy sports space during the previous 12 months. The judges will be looking for evidence of revenue growth, acquisition through the mobile channel, innovation and strength of product. The winner will be the operator that can demonstrate a successful cross-platform offering with strong functionality and growth. This award is for operators offering both lottery and bet-on-lottery products. The award will go to the operator that can demonstrate how it has found success in the lottery sector with judges paying particular attention to growth, product innovation and the ability to appeal to a new demographic, which includes the transition of retail players into the online and mobile environment. This award will recognise the operator that has achieved significant success in the field of financial and sports spread betting during the past 12 months. The category is open to standalone sports and financial spread betting operators but not egaming operators with a financial betting offering. The judges will be looking for evidence of growth, innovation in product and/or marketing as well as strong revenue generation and overall product offering. This award will recognise the operator that has stood out in the competitive horse race betting space, through quality of product, customer centricity, differentiation and commercial success. Judges will be looking for an operator that offers a market leading product combined with an effective marketing strategy and CRM capabilities, as well as strong commercial performance. This award will recognise the operator that has stood out in the football betting space, through quality of product, customer centricity, differentiation and commercial success. Judges will be looking for an operator that offers a market leading product combined with an effective marketing strategy and CRM capabilities, as well as strong commercial performance. The judging panel is looking to reward the operator that has developed a product that stands out from the crowd, and provided a significant boost to sportsbook revenue in this vitally important sector of the business. Innovation and strength in mobile and tablet will be a key criteria for assessment. The panel will also be looking at breadth of markets offered and the ability to offer in-play on multiple platforms. This award recognises the company that has run the most innovative, intelligent and creative marketing campaign over the past year. Judges will select a winner based on effective use of brand and contextual advertising along with other elements such as banner ads, affiliate programmes, use of SEO and viral marketing for a specific campaign. The award is not simply for the most effective campaign in terms of ROI, but the financial performance of the campaign or its success in recruiting new customers will be a factor in judging a winner. This award recognises the operator that has made the biggest impact within the mobile and tablet space during the past 12 months. The award is open both to mobile-only operators and traditional egaming operators with a mobile bingo product. The judges will be looking for evidence of revenue growth, acquisition through the mobile channel, innovation and strength of product. The winner will be the operator that can demonstrate a successful cross-platform offering with strong functionality and growth. It is not an award for the largest operator, but scale will be a consideration. This award recognises the operator that has made the biggest impact within the mobile and tablet space during the previous 12 months. 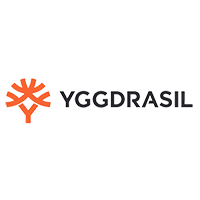 The award is open both to mobile-only operators and traditional egaming operators with a mobile casino product. The judges will be looking for evidence of revenue growth, acquisition through the mobile channel, innovation and strength of product. The winner will be the operator that can demonstrate a successful cross-platform offering with strong functionality and growth. This award recognises the operator that has made the biggest impact within the mobile and tablet space during the previous 12 months. The award is open both to mobile-only operators and traditional egaming operators with a mobile poker product. The judges will be looking for evidence of revenue growth, acquisition through the mobile channel, innovation and strength of product. The winner will be the operator that can demonstrate a successful cross-platform offering with strong functionality and growth. This award recognises the operator that has made the biggest impact within the mobile and tablet space during the previous 12 months. The award is open both to mobile-only operators and traditional egaming operators with a mobile sportsbook product. The judges will be looking for evidence of revenue growth, acquisition through the mobile channel, innovation and strength of product. The winner will be the operator that can demonstrate a successful cross-platform offering with strong functionality and growth. This award will go to the slots operator running the most successful and innovative offering. The judges will be looking for operators that have a strong product offering, brand identity and an effective marketing strategy. This is not an award for the largest operator, but scale, growth and revenue generation will be factor in determining the winner. Additional recognition will be given to operators with a strong regulated market business. This award recognises the social operator that has set the standards for others to follow over the past 12 months. Judges will look for a company that has dominated the social gaming space and acted as a driving force for innovation. It is not a reward for the largest operator, but scale will be a major consideration. The headline categories are our most hotly contested Awards, and are subject to a unique final judging process. All companies shortlisted for the nine categories will have the opportunity to send one representative per category they are shortlisted in to present their submission(s) in person to the judging panel. Each shortlisted company will have 5 minutes to present to the judging panel, followed by 5 minutes Q&A. Once the scores are submitted the winners are then automatically calculated by our online judging platform. If there is no clear winner, the lead judge in each group will have the final casting vote to determine the winner. A Highly Commended may also be rewarded in this instance. A great product, appealing to real valuable punters and sticky so they keep coming back. Very impressive across the board. Overall a well-rounded submission that demonstrates strong growth over the judging period through a mixture of organic and M&A. One of the best in the business. The presentation was crystal clear as they came in with the numbers and reasons behind why they have made the decisions they have made. They have also streamlined organic growth, done the right M&A and focused on new markets. Tombola was the obvious choice as they ticked every box. They have grown the fastest and in the most stable way, have the clearest strategy, investing in the right places, and it is all in-house. It’s everything we were looking for. Their broad range of initiatives impressed us, including on CRM, supplier relationships, geographic expansion, and quick integrations. On top of that, the performance year on year is incredible. A very strong submission on staff retention/engagement, incentives/benefits and training. Overall SBG appears to be a great company to work for and all employee reflections on the working experience there seem positive. The presentation was very balanced with good specific examples of product improvement and increasing customer engagement. It was a transformational year for GVC with both the successful migration of bwin.party and the completion of Ladbrokes Coral acquisition. To complete one merger in this industry is bold, to take on two is truly brave and that GVC have managed to pull it off and emerge with all brands stronger as a result is a truly impressive achievement. And success has been widespread, with all online divisions (Ladbrokes, Coral, Brazil, partypoker) contributing strongly. Provided many examples of their growth and improving returns from their customers, and showed a real mixture of improving the product and customer interaction, stitched together into an overall strategy. What resonated most was the piece about truly understanding the customer. An innovative concept which, despite its youth, is already profitable. Its approach to gamification will open up further revenue opportunities and therefore we see this positive trajectory sustainable. Arguably the operator that has really taken the challenge of responsible gambling head-on in the previous 12 months and made some impactful changes. Responsible gambling is a priority of the business but more importantly it's dealt with honestly and with a sense that is has not solved the problem and there is a clear a culture of continuing improvement. It's incredibly hard to look past bet365 who continue to dominate many of the major markets and show strong levels of growth against a very competitive market backdrop. Alongside this they continue to innovate around product and trading and remain the firm everyone wants to beat. This is a quality programme for a quality operator. They care about their good affiliates and about partnering to both make good money - they are the ones to beat. Pinnacle is the leader and given its market positioning has been able to build a scaled esports business. Lottoland is a high-quality innovator and genuine disrupter in the marketplace. Its move into insurance reflects real domain expertise and leadership. The fact the company is willing to challenge lottery dominance and the hurdles associated with this demonstrates the confidence in its offering. An incredibly strong and well put together submission showing a real commitment to customer service backed by strong measurables and consistent reviewing to measure effectiveness. Paddy Power has always been racing-led relative to other mainstream bookmakers and it has maintained this product commitment amid much stronger football growth in the market. It effectively leveraged horseracing as part of a core mainstream offer rather than a niche. PPB is a first-rate operator and really brings together commercial and marketing expertise together with strong product and technology fundamentals. Particularly strong in the UK, Australia and Ireland. They do football betting extremely well indeed. BetVictor's #PriceItUp builder has not been the only product of this nature developed in 2018, but it has been one of the best received - and is one of the most responsive algorithms. Customer reviews are consistently good and despite the World cup coming to an end, continues to be well used by customers. Led the market with its RequestABet feature with a focus on continuous innovation. Sky Bet has been an outstanding performer in this area for the last five years. An extremely effective campaign that seems to have had a significant impact on the business and is what you would expect from a great brand like this: the player at the heart. A very strong entry identifying key differentiators in each of the criteria - standout feature is its product recommendation facility. With market leading revenue and growth, a strong product in multiple jurisdictions, and one of the best-known brands in the market, it was another successful year for bet365. Demonstrable customer-focused features and just does what it says on the tin. Customer satisfaction messages very welcome, as is NPS measures, with a remarkable level of game launch and collaboration with software houses. A good submission with loads of information – it has been a good slot operator for a while and that remains the case. One of the best poker offerings in the market with extremely favourable monetisation. These guys have continued to do a great job. tombola – I’m a Celebrity, Get Me Out of Here! A table costs £4,620 for members and £5,445 for non-members which includes attendance for 10 to the awards ceremony, drinks reception, three course Gala dinner, after party and wine/beer/soft drinks until close. Sponsoring the EGR Operator Awards 2018 is a unique opportunity to engage and network with key decision-makers, raise your company profile and position your brand as a leader in the market.